Team Meat fans will have to wait a bit longer as Super Meat Boy Forever has been delayed for a brief amount of time. The developer sent out a letter on Twitter announcing the delay. The game will be releasing “after but not too far after April 2019,” according to the studio. The release date will be given during the game’s next trailer. Super Meat Boy Forever was initially scheduled for this month. While this is just speculation, seeing Evil Asshat with capitalized letters seems to hint at Team Meat’s feelings towards the problems developers reportedly have faced with EA recently, not to mention the overall issue of crunch within the video game industry. The developer recently showed off a demo of the game at PAX East 2019 last week and mentioned the delay to the event goers. They decided to spread that news further online today. 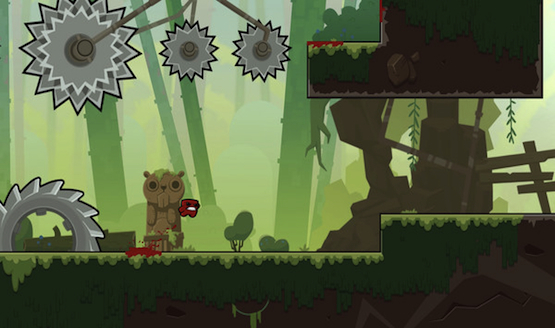 Super Meat Boy Forever is a sequel to the 2010 indie classic. Dr Fetus is back, but this time, he has kidnapped Meat Boy and Bandage Girl’s baby, Nugget. To save her, the couple must go through challenging (but dynamically changing to adjust the difficulty) levels and punch and kick their way through enemies. Super Meat Boy Forever will be releasing on PS4, Xbox One, Nintendo Switch, and PC (Epic Games Store first).